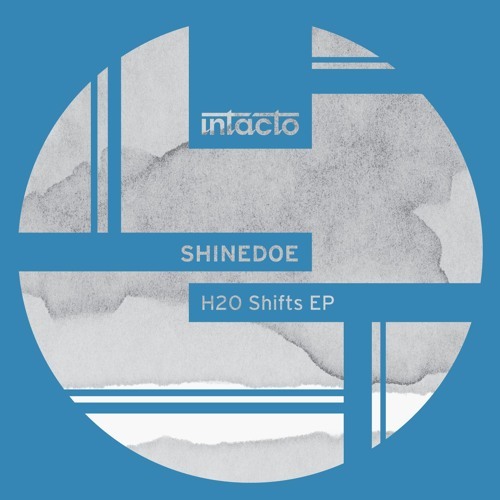 Intacto Records' co-founder SHINEDOE has brewed a new Techno potion: “H2O Shifts EP”! True Detroit Techno influenced title track “H2O Shifts” feels like a playful groovy dance between raindrops as they are pleasantly shifting through different layers of the sky. Tension is build up in “Unrevealed” as it takes a journey through swirls of a trance like state. The bustling bass of “City Mantra” takes a trip through the different chaotic directions of big city movement but maintaining moments of unity while travelling within it. Uplifting the spirits in final drop “Artificial Era” while its deep synth stabs emerge in the warm, rhythmic groove. Track list: 1. H20 Shifts 2. Unrevealed 3. City Mantra 4.Artificial Era Supported by DVS1, Ben Sims, DJ Rolando, Laurent Garnier, DJ Sasha, Nina Kraviz and many more!